Xiaomi recently teased its upcoming Mi Mix 3 5G variant to be coming soon with no exact release date. However, now it seems that the launched date for the upcoming Mi Mix 3 5G has been revealed. According to an official invite as first spotted by reliable Twitter source Ben Geskin, Xiaomi will launch the Mi Mix 3 5G variant at an event on February 24 in China. Earlier leaks have revealed that the phone will be available in two color options Green and Blue. It is worth mentioning here that the new Mi Mix 3 5G version will be equipped with Qualcomm’s Snapdragon X50 5G modem. Notably, The Mi Mix 3 5G is also expected to be powered by Qualcomm’s latest and most advanced Snapdragon 855 chipset that will support the next generation 5G network. In other words, devices with both Snapdragon 855 chip and X50 5G modem will only be able to support the 5G network. So, if you are expecting every smartphone that comes with Snapdragon 855 will support the 5G network then this is not the case. Not every smartphone with Snapdragon 855 will support 5G. A smartphone will have to have that extra X50 5G modem to be able to support the 5G network. That mean, the cost of the 5G variant will also be a title bit higher than the regular Snapdragon 855 variant. 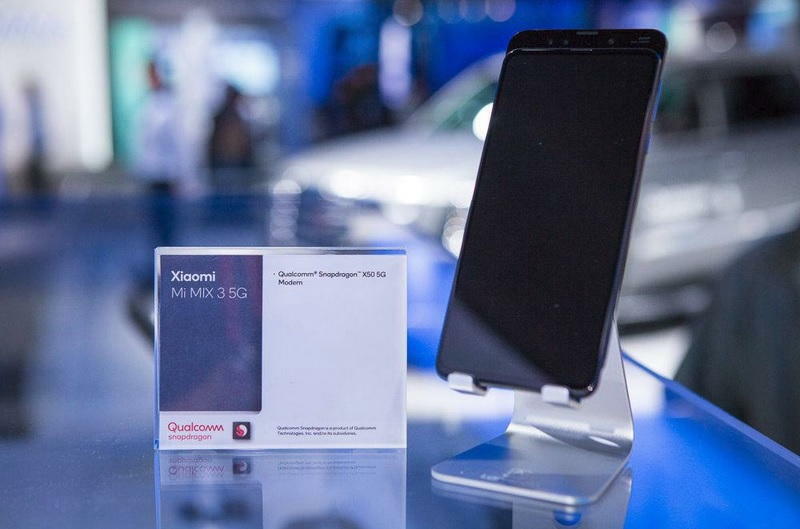 Last month, Xiaomi showed off a 5G version of the Mi Mix 3 that comes with Snapdragon X50 modem at China Mobile’s Partner Conference in Beijing. The model is said to have download speeds of up to 2 Gbps. For now, we don’t have any other information about the upcoming Mi Mix 3 5G variant.